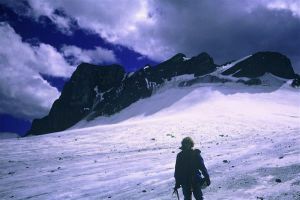 Located NW of Mount Joffre and S of Mount Cordonnier on the E side of the Mangin Glacier. Name Notes: Named in 1918 after Charles Emmanuel Mangin who was a French soldier and a successful commander during World War I. In later years Mangin presided over the Supreme Council for National Defence.